At Shield Ranch, stewarding and protecting the Hill Country ecosystem is our solemn purpose. Located just 18 miles southwest of downtown Austin, we are a 6,800-acre family ranch established in 1938. Today, we are home to a mosaic of habitats, a diverse community of native plants and animals, and over six breathtaking miles of Barton Creek. Through an evolving program of land management, unique nature immersion experiences, and conservation easements with the Nature Conservancy and the City of Austin, Shield Ranch offers something exceptionally rare in our rapidly urbanizing community—a truly wild place. Join us in making sure it stays that way. Visit our website to learn more about our work in land stewardship, advocacy, scientific research, environmental education, conservation easements and historic preservation. 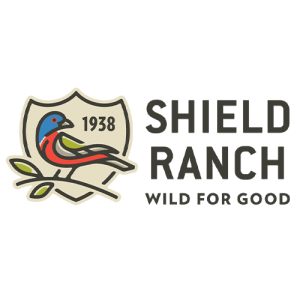 The work we do at Shield Ranch and the Shield Ranch Foundation is timeless. We respect the historical and cultural significance of the place and steward and share the Ranch to ensure that the land will always be a resource for future generations. 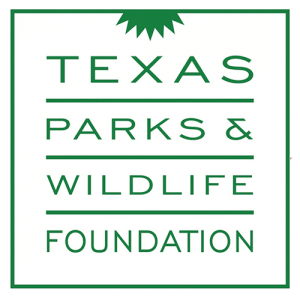 Texas Parks and Wildlife Foundation’s mission is to provide private support to Texas Parks and Wildlife Department to ensure that all Texans, today and in the future, can enjoy the wild things and wild places of Texas. Since 1991, Texas Parks and Wildlife Foundation has raised private funds to advance Texas’ proud outdoor traditions and conserve our state’s wildlife, habitat and natural resources. Our vision is for all Texans to have access to the wild things and wild places in our state, both now and for generations to come. 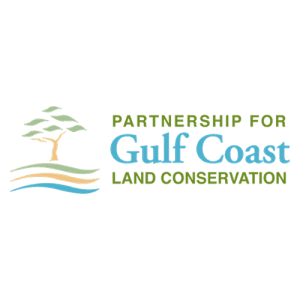 The Partnership for Gulf Coast Land Conservation (the Gulf Partnership) is a coalition of more than 20 local, regional and national conservation organizations that work in the Gulf Coast region within the five Gulf of Mexico states – Alabama, Florida, Louisiana, Mississippi and Texas. Our mission is to increase the pace, quality and permanence of voluntary land and water conservation within the coastal region. Our member organizations work with private landowners, government agencies and local communities to protect the most important natural resources and beautiful landscapes in the region: ranchlands, mangrove forests, bays, bayous, estuaries, fresh water springs, longleaf pine and bottomland hardwood forests, sandy beaches and barriers islands. We serve land trusts that operation in the five Gulf of Mexico States coastal region and provide: Capacity building support through training, annual Gulf Coast Land Conservation Conference, webinars, matching grants for due diligence projects for partner members, communication on land conservation news and advocacy/policy issues specific to the Gulf coast region. Deepwater Horizon oil spill funding for conservation including RESTORE, National Fish and Wildlife Foundation Gulf Coast Benefit Fund, and NRDA. Convening land trusts and allies in the Gulf Coast region. Communication, Advocacy, support for grant writing. 3.all federal waters in the Gulf of Mexico. Our partner organizations work with individual landowners and local communities from the Texas/Mexico border to the southern tip of Florida. Some of our partners work in all 5 states and protect thousands of acres while others focus on a single county or watershed. 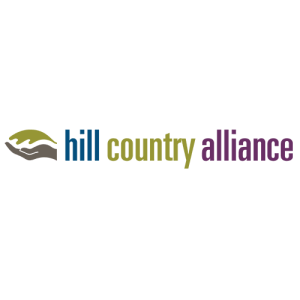 The mission of the Hill Country Alliance is to bring together an ever-expanding alliance of groups throughout a multi- county region of Central Texas with the long-term objective of preserving open spaces, water supply, water quality and the unique character of the Texas Hill Country. The Hill Country Alliance is dedicated to ensuring for future generations an opportunity to enjoy the unique features of the Hill Country region, including the countless spring-fed streams, its multi-ethnic and agricultural heritage, and spectacular scenic beauty. Encourage responsible water practices – The economy of the Hill Country and land values are dependent upon the water needs of today being balanced among current users, e.g. ranchers, development and the environment, in such a way that does no harm to the streams and aquifers. Inform the friends of the Hill Country – A key to solving our region’s challenges is to work collaboratively with all interested stakeholders in order to make readily available honest and fair information, along with opportunities for participation in decisions. Nurture unified support for innovative policy changes – While the actions needed to sustain the Hill Country’s natural features vary across the region – from the rapidly urbanizing southern and eastern portions, to the vast open spaces on the western and northern edges – there is a shared interest in respecting private property rights and encouraging locally grown solutions to complex issues through education. Support economic development that is compatible with the Hill Country’s unique features – A key to keeping our Hill Country a special place for generations to come is to promote sources of income for landowners and businesses so that ensuing generations are motivated to keep ranches intact and small towns functional.